The Grand Canyon attracts close to 5 million visitors every year. That’s a lot of people! 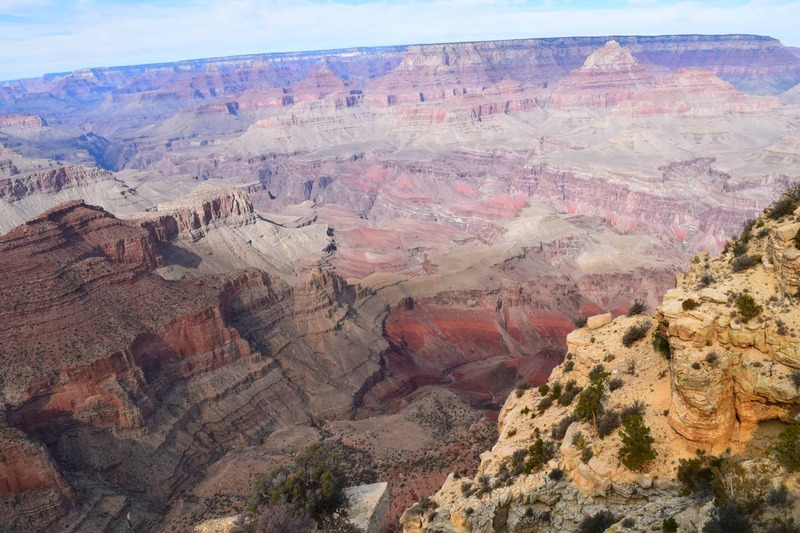 On any given day, throngs of tourists visit the South Rim and the North Rim. Unless viewing the canyon from a helicopter, which I am told is amazing but very costly, avoiding swarms of people is almost impossible. 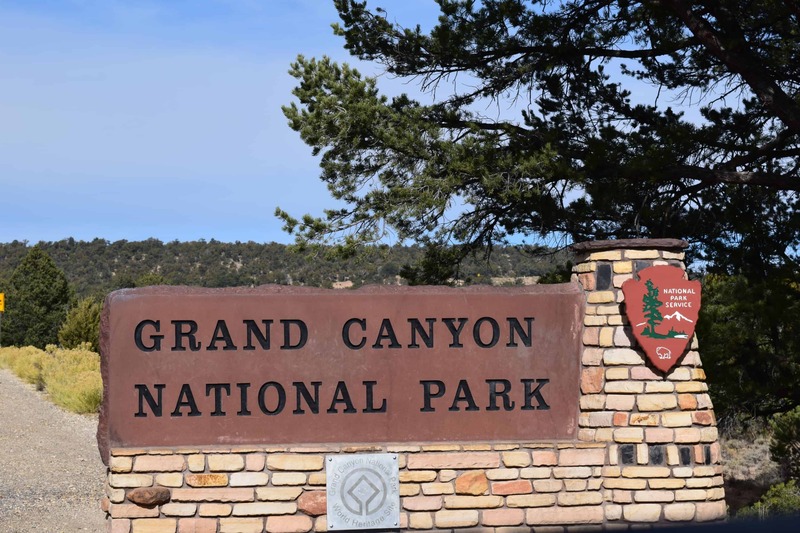 Yet, there is a way to visit the Grand Canyon and enjoy some peace and tranquility. The cost per vehicle to enter the park is $35 US. Off season doesn’t mean it has to be in the dead of winter. We visited twice the South Rim in November. It was cool but sunny. Bring layers of clothing. The sun is warm but the wind blows strongly at times. Slightly off season has many advantages. Hotels are cheaper and more readily available. The canyon is beautiful in any season. Cooler weather offers some rare foggy or frosty scenes. In the Fall, while controlled burning is under way, the smoky skies give an orange tinge to everything. More wildlife can be seen when there is less traffic on the roads. We entered the park through the Desert View Visitor Center. From Highway 89, turn on Highway 64 near Cameron and follow all the way to the South Rim. 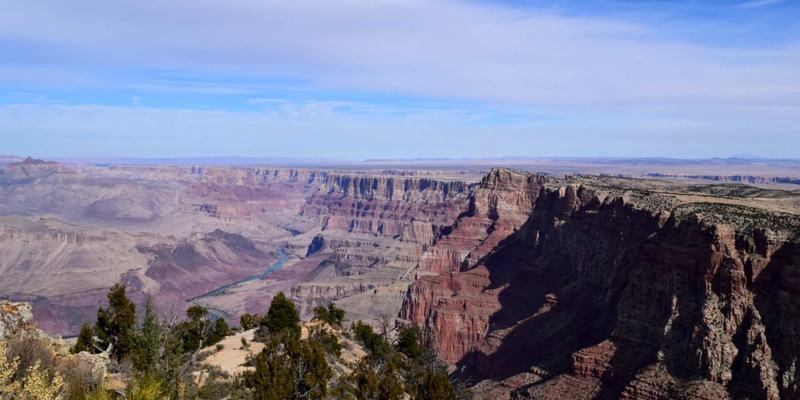 It offers the first glimpses of the Canyon and some majestic views. 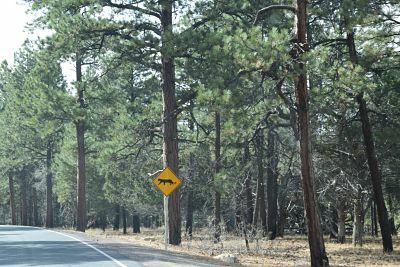 From Flagstaff, Highway 180 is a bit of a long drive to get to the Canyon but it is very pretty, with some of the most beautiful mountain scenes we have seen: golden grassy slopes topped with rugged terrain and scraggly pines, with the occasional farm house along the way. Taking the free shuttle was a fun and practical way of seeing the views along the South Rim. There is a level path all along and we either walked in between the stops or hopped back on the shuttle when walking would be too long or when we got cold. 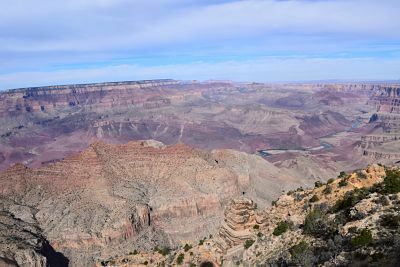 All the viewing points will leave you with a sense of awe and incomprehension at the vastness of the canyon. The Hermits Rest has an interesting and charming architecture and for me, it was like a dream home. 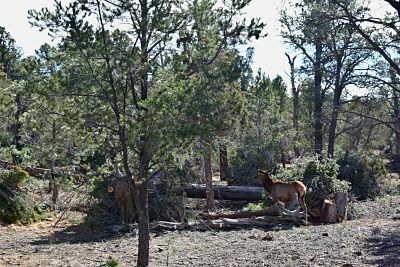 We saw several deer near the parking lot but only got a far away glimpse of an elk. We wished we could have seen more. Coming from the Desert View Entrance, there are some breathtaking view points that are not on the shuttle routes. They are worth the hassle of driving and parking. Despite being there in November, some places were still packed, like the Visitor Center, the Desert View Tower and the Hermits Rest. But on the trails we could breathe easy. 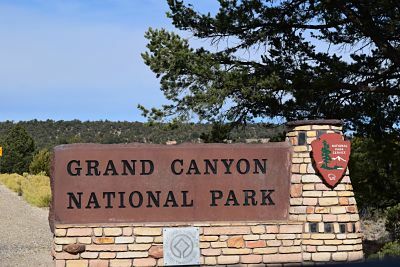 Of all the parks we have visited in the United States, Grand Canyon was the most disappointing when it came to the Junior Ranger Program. The Rangers were overwhelmed by the number of visitors and had little to no time for children. We had to wait a long time before getting the Junior Ranger booklet, and that was really hard for a little kid! Some of the activities in the booklet were time specific so it was difficult to arrange our visiting schedule with completing the booklet. Always stay behind the protective railings and away from cliffs! Duh! It’s simple but yet so hard to do for many. Use this opportunity to teach your children to respect instructions, wildlife and the environment. Be observant of the changing weather and of your surrounding. 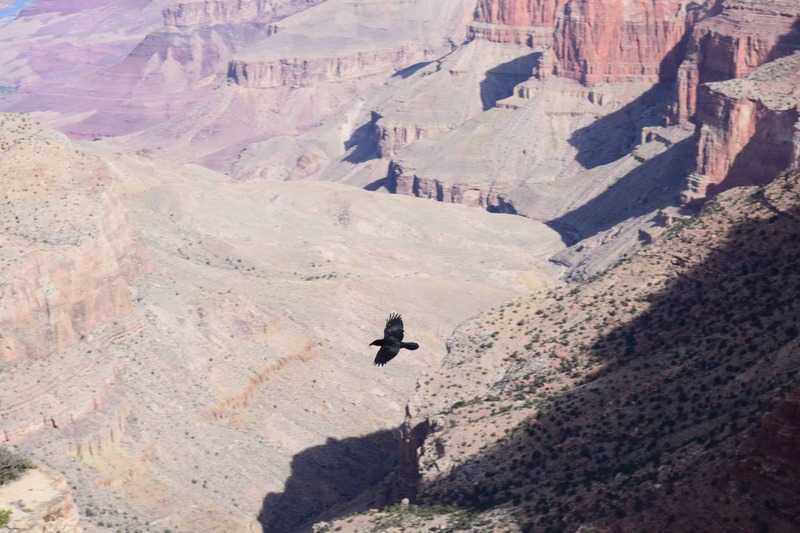 The South Rim is in high altitude and in a dry climate. Stay well hydrated. Get some rest when hiking. 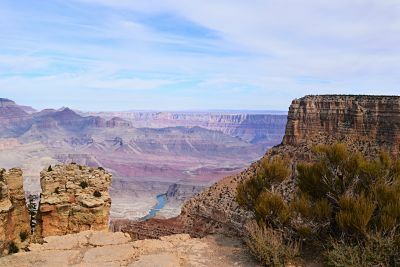 There is just so much to do and see at the Grand Canyon. There could be a whole article about the history and geology of the area and it would only scratch the surface. 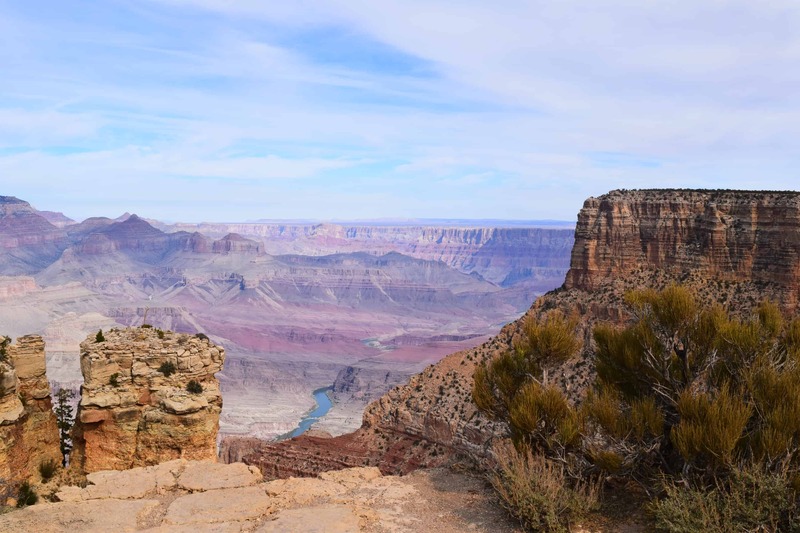 Grand Canyon National Park is worth visiting more than once for a spectacular experience every time!